You can create the gradient by painting a stripe of each color on to a triangle makeup wedge, and then tapping it over your nail. I did two rounds of tapping for the look shown here. TIP: This technique can be messy! Make cleanup easier by painting Elmer's glue onto the skin around your nail. Wait for it to dry and then do your gradient. Afterwards, gently scrape off the glue to reveal clean fingers! Because the sponge can't absorb the texture (but it does absorb the polish base), this method compounds the textured particles. The result is an extra textured manicure that, unfortunately, doesn't last as long. The texture has less to hold on to and can start to crumble after a few days. Still though, I got about two good days of wear out of this, and I like the super textured, almost fuzzy appearance! Nicole by OPI Roughles nail polishes are available now in drugstores and other retailers for $7.99 a piece. Will you be picking any up? These are some of my favorite textures in a while! Ahh, this looks so cool! I really want to try these polishes! Love the look of this! 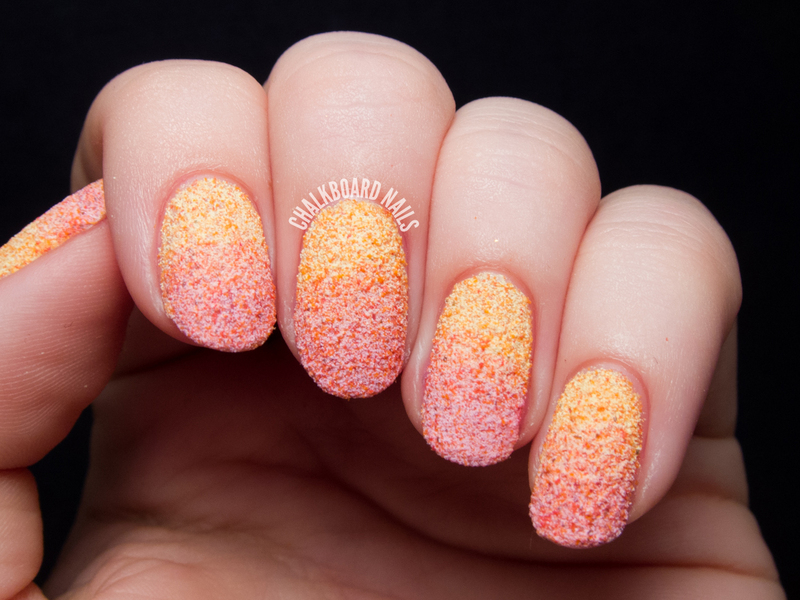 Even if it doesn't last long I will give a textured gradient a try! This looks so cool! Kind of reminds me of these crystallized sugars I used to eat when I was younger. Dang, that's too bad! Just keep trying, I'm sure they will pop up sooner or later! Share your look on my FB page when you do! Thanks! They are really great polishes! It looks so weird! But in a good way. I had no desire to get these before I saw this; now I'm not so sure. I was thinking it looked fuzzy all the way through your post, and smiled when you mentioned it too. Even though I'm not a fan of textured polishes this almost makes me want to experiment with them! Hehe great minds! Textures are so fun, I definitely encourage you to play around with them! Thank you, I agree it seems a bit strange at first. I got used to it though! Love the colors you picked! Just got a couple of new OPI mini sets, the Beach Sandies and Sheer Tints. I noticed how well the colors correspond--each set has a yellow, pink, purple, and blue. Any nifty nail art ideas? A sandy french? Sheer-to-sandy gradient? I love how fuzzy these look. They remind of a cozy sweater or slippers. Thanks for the glue tip! S io muxh easier than tape! WOw thery are really beautifull!!! And thanks for the glue tip its very usefull!! What a creative way to use the Roughles polishes!! I really love the way these texture look!! And I'm a fan of texture gradients too, so it's nice to see I'm not the only one. I really like this kind of textured polish, they look like colored sand. 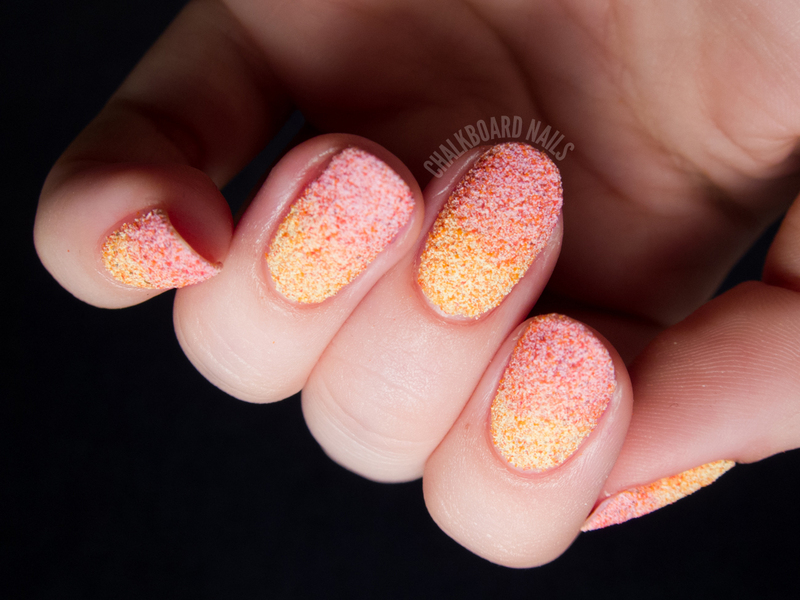 What a great beach mani this would be! I'm really into this kind of textures... Thanks. Ummm. 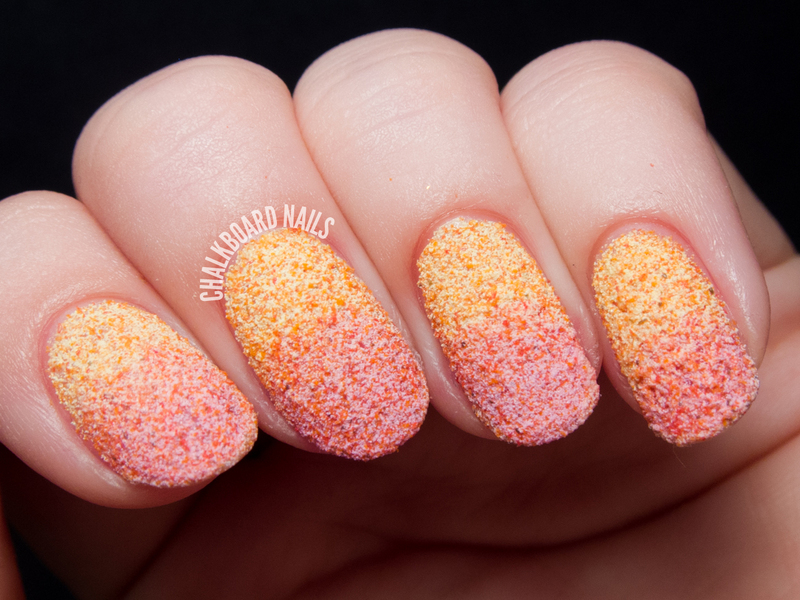 I love textured polishes and I love the separate colours, but in this combo all I can think of is Cheetos. :/ Not necessarily a bad thing, actually (though on Makeup Alley someone years ago famously, for Science! did truly apply cheetle - cheeto dust - to her nails. It was very much like this.) I just am hungry in a very odd way now. :) Maybe as an accent to an xbox mani? 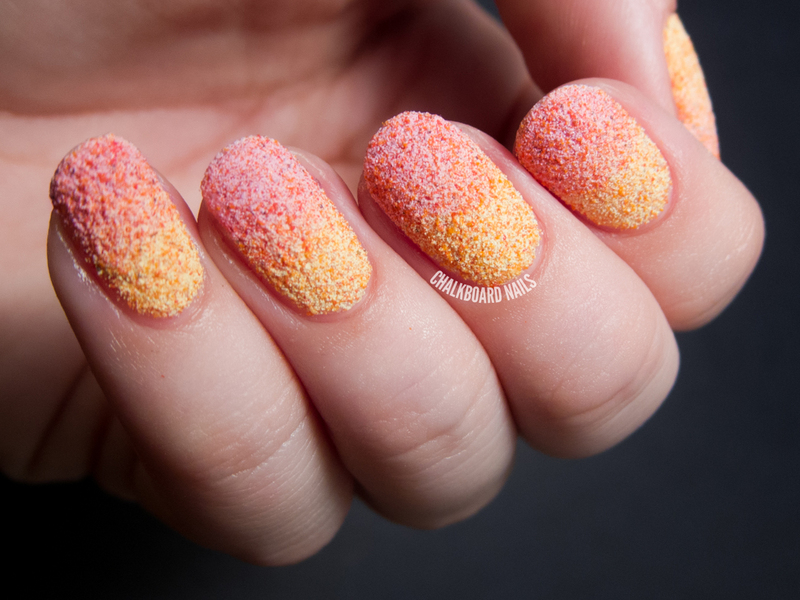 This is so pretty, this is a great use of the roughles polishes. Wanting them more for each time I see a great swatch like this.